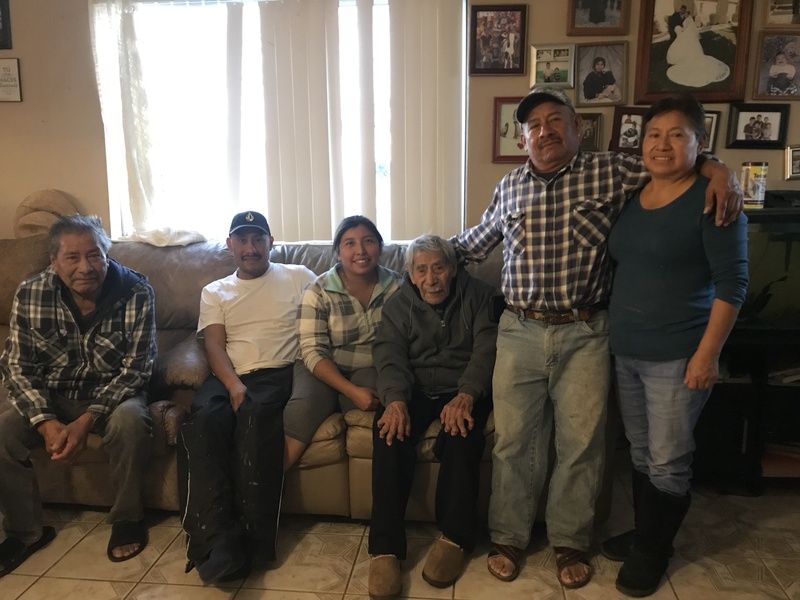 Last Thursday, Modesto Lopez Bautizta began his day by giving thanks to God for living another day — just as he does every day. The only difference was Jan. 17 was his 110th birthday. There are only four supercentenarians confirmed in the United States — all women — according to the Gerontology Research Group, and only 34 in the world. 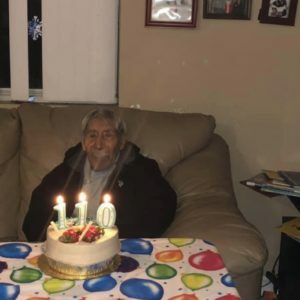 Modesto Lopez Bautizta celebrates his 110th birthday on Jan. 19, 2019. 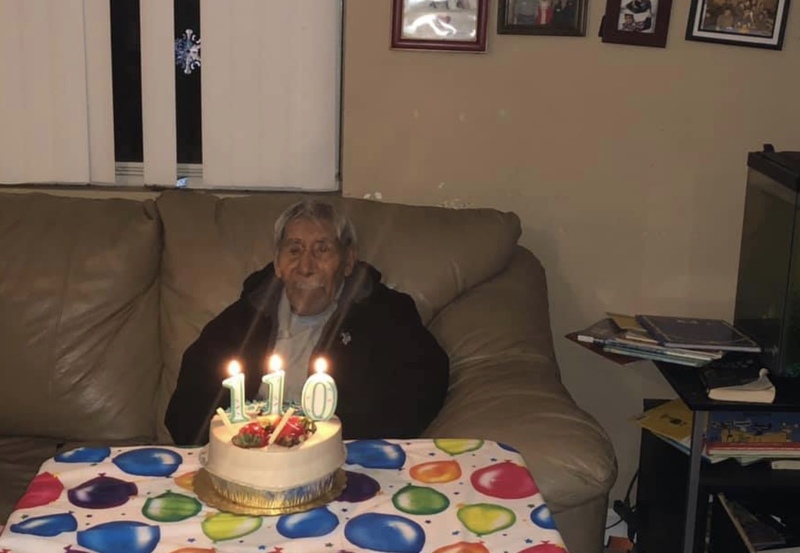 Lopez Bautizta celebrated his birthday in his Lamont home with his family. Together, they ate his favorite foods — caldo de pollo and pizza. And of course, he ended the celebration with birthday cake. Lopez Bautizta credits his longevity to daily prayer, a healthy diet consisting of lots of vegetables and minimal stress throughout his long life. Born in 1909, Lopez Bautizta was born and raised in San Juan Mixtepec, an indigenous community in Oaxaca, Mexico where the community only spoke Mixteco. There was no school in his community. He never learned to read or write, he said. “I really regret not going to school,” Lopez Bautizta said. If he wanted to attend school, he had to travel far and pay tuition. However, his family did not have the funds for school. “It’s a privilege to go to school [in Mexico],” said grandson Hector Hernandez Lopez. 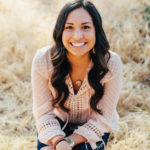 Instead of going to school, Lopez Bautizta worked in agriculture. He provided for his family by farming crops, such as corn, beans, wheat, cilantro and more. In his community, he worked for half the year during crop season. During the other half of the year, he traded goods with other community members as a way of life. 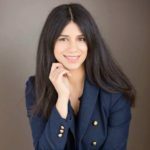 “There was no time to think about stress,” Hernandez Lopez said. In 2001, Lopez Bautizta, with his family, migrated to the United States and now lives in Lamont. Lopez Bautizta and his wife, who passed in 1986, have four children and adopted another child. His family has grown four generations, with a fifth on the way. 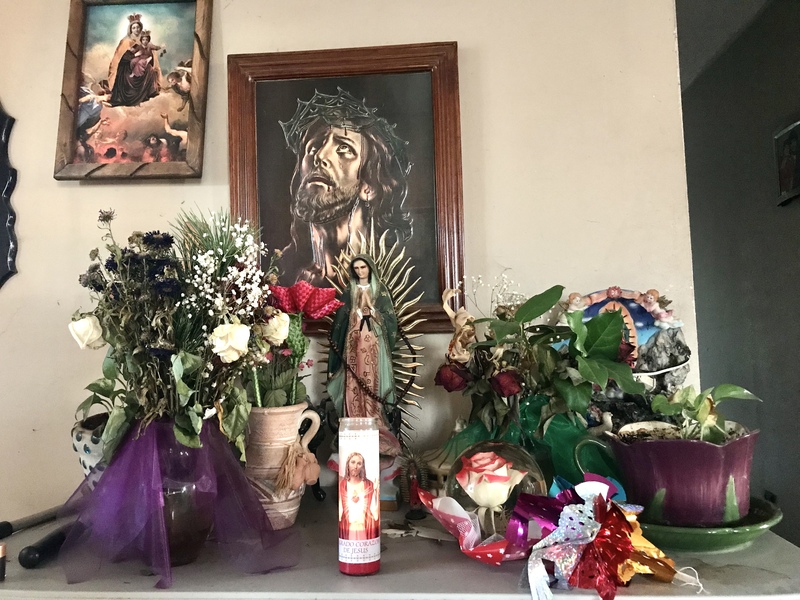 Modesto Lopez Bautizta prays in front of his alter every day after he wakes up and before he goes to bed. Now, in his 110th year of life, Lopez Bautizta’s days look the same. He wakes up around noon and prays every morning in front of an alter inside his home. He usually takes a walk outside to see the sunlight, has a couple meals and ends his day with another prayer.